ICO Tissue is the branch of a family business existing since 1952, with a strong history of corrugated packaging manufacturing and with over 40 years of experience in this sector. 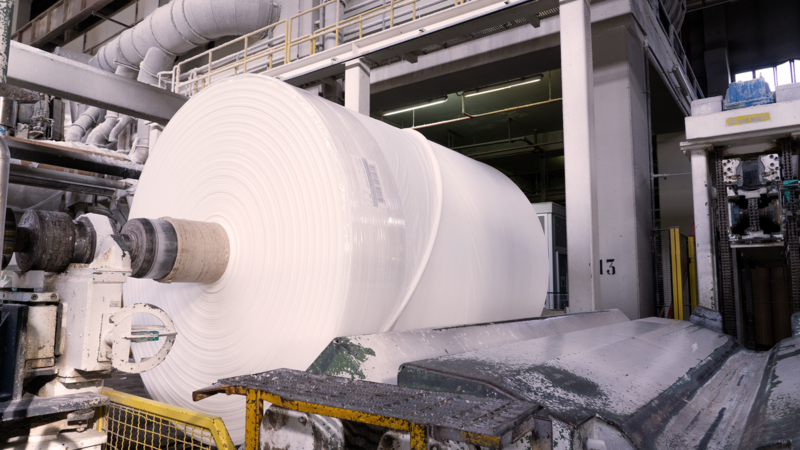 In 2013 ICO Tissue undertook a new challenge by acquiring the TAD tissue paper Facility located in Alanno, a village in the Abruzzo hinterland (Italy). In Alanno Facility we produce Jumbo Rolls from 19 gr/m2 (11.67 lb/3000 sq.ft.) to 30 gr/m2 (18.43 lb/3000 sq.ft.) for Bath Tissue and Paper Towel Roll width max: m. 2,8 (110 in) single or 2 plies. Technology utilized: High Topographic wire for high bulk and Standard wire for low bulk. The fiber mixture of our bath tissue TAD paper process produces a toilet paper with a High grade of Softness which is unique of its kind. Paper towel made with our tissue TAD process has the highest Wet Strength and Absorbency on the market. The TAD (Trough Air Drying) technology produces the highest quality tissue available in the market. It applies a process where the web is dewatered and dried by non-compressive means, thereby avoiding the compaction that occurs during wet-pressing of the web in the conventional process. Dry-crepe tissue technology, which involves pressing of the sheet when it is in a wet state, is the most common method of tissue manufacture. This is often called the “conventional” process because of its widespread use throughout the world. In this process fibers are stressed by a mechanical process (fiber is creped before it is fully dried) which reduces the volume and performances of the fibers. The double hot air fan system makes water evaporate. This dryng process makes the paper thicker, stronger, softer. Moreover, the additional TAD benefits improve the paper absorbency of up to 50% and the fiber saving nearly 20%, which is equivalent in sheet sizes and appearance. Tissue World Milan trade show and conference is the flagship show of Tissue World, the leading global event series serving the tissue industry worldwide since 1993. The biennial event provides an international platform for tissue manufacturers, converters, jumbo roll suppliers and an exhaustive range of industry suppliers to network and source for the latest tissue industry technologies and solutions. Since the first edition in 1993, the event has become the crucial meeting point of the industry. The 2017 event is its biggest ever, having welcomed a total of 3,284 tissue industry professionals from 106 countries.